In 2011, 5-year-old Kondo came to us for an operation. 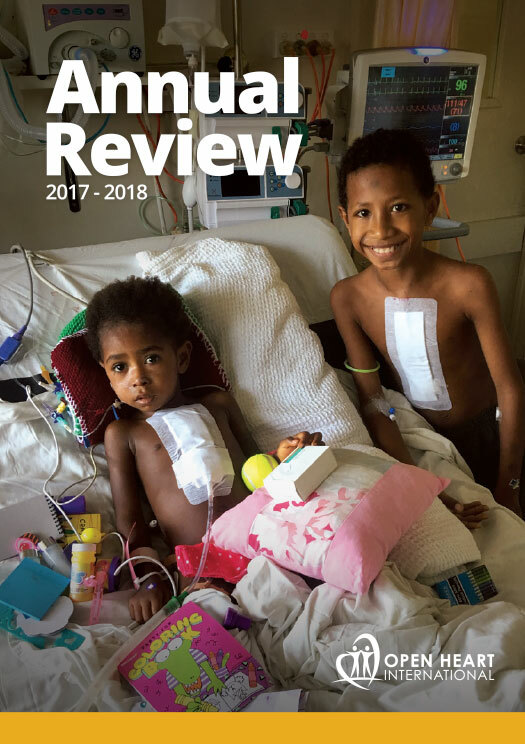 He successfully underwent a procedure to fix a hole between main cirulation and lung circulation that’s needed before birth, normally this is meant to close shortly after birth. 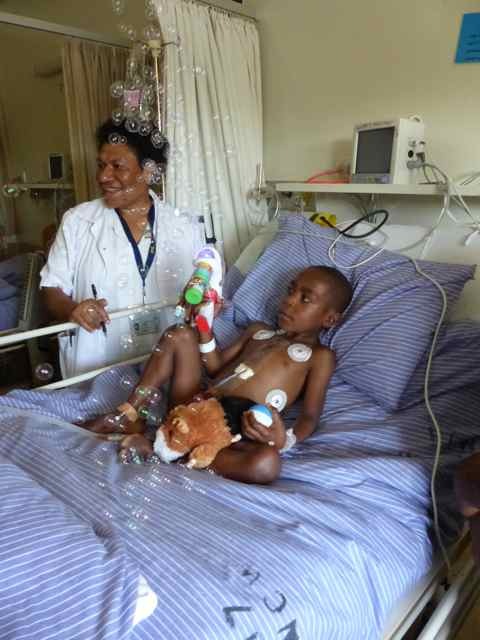 This year he had an operation to fix a narrowed aorta (the main vessel leaving the heart). Kondo is from the highlands in PNG; he has travelled down from the district Banz near Mt Hagen (A on the map), and it’s been quite a journey. His home is roughly where “A” is on the map. Initally Kondo had to ride ab bus for 12 hours to go to Lae (first orange arrow) to see our cardiologist Scott Fox for the first review. 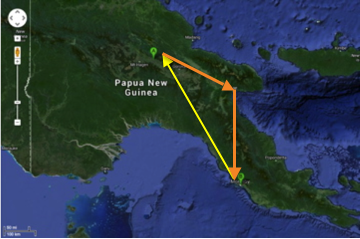 From there, he was flown to Port Moresby (second orange arrow(, and he’ll fly home to Mt Hagen (yellow arrow) once he is well enough. Kondo’s father has had to take him out of school because he was too short of breath and fatigued to attend. With this second operation Kondo hopes return to school next year. Kondo’s surgery went well, there were no complications and he is now doing well on the ward. He is up playing games, blowing bubbles and looking forward to getting home. It’s not often we get to see our patients after their surgeries but we are always excited to hear from them. 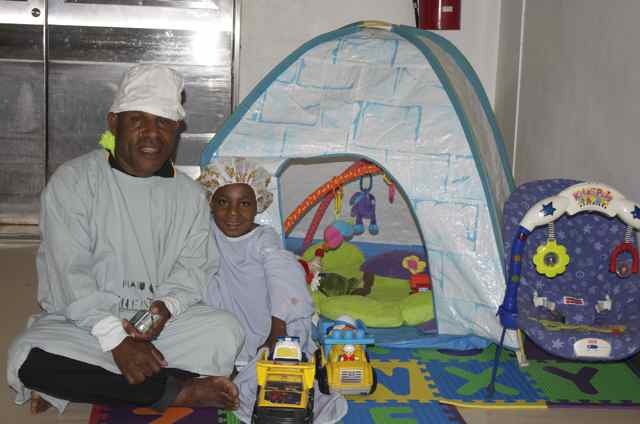 It’s great that Kondo will go home with the hope he will live a full, healthy and normal life.